I am but one of the minions who are grateful to Susan Collins, the GOP Senator from Maine and Lisa Murkowski, the GOP Senator from Alaska for their courage and conviction in following the tenants of their own integrity. They voted “no” to the passage of the Republican health care bill. Of the twenty female senators, five are Republicans. Consider this, Senators Collins and Murkowski were the only two GOP members consistent in their opposition among 50 senators, 47 of whom were male. 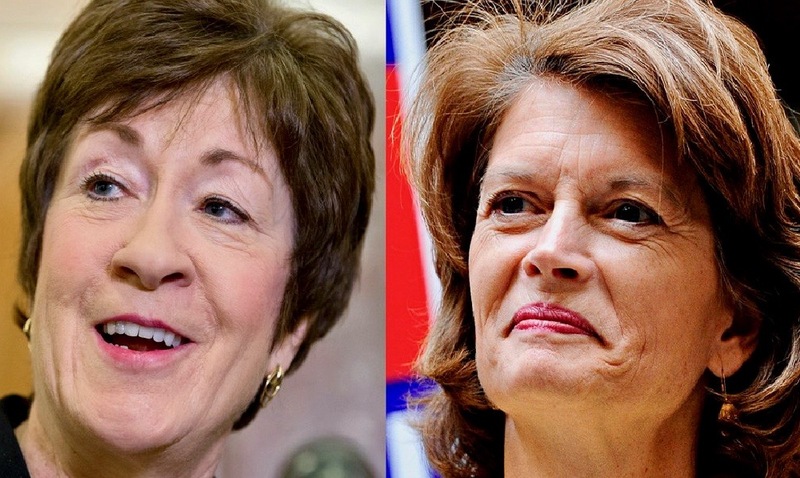 According to a New York Times opinion column by Gail Collins, “their joint stand was the logical outcome of a year that has been marked by utter Republican indifference to women.” It turns out that both women serve on the Senate committee that handles health care. Ironically, Majority Leader Mitch McConnell did not appoint either woman to join 13 men to write a health care bill in which the needs of women were bi-passed. There was no effort to control maternal care costs, to cover contraceptives or to protect Medicaid reimbursement for any and all Planned Parenthood services. It turns out that both Senator McConnell and the males in committee had little appreciation for the importance of services that Planned Parenthood provide to women, especially in states such as Maine and Alaska where services are spread over vast landscapes and hands on prevention and health information for women are in short supply. It was no secret to Patty Murphy, the leading Democrat on the Senate Committee on Health, Education, Labor and Pensions that Senators Collins and Murkowski would vote “no” upon facing the decimation of Planned Parenthood. They were clear in their values and concerns. There are times in one’s life when one gratefully looks back before moving forward. Thus, I offer this quotation by Eleanor Roosevelt, my first model of an outspoken, courageous pro-active woman speaking out to women. … The standards by which you live must be your own standards, your own values, your own convictions in regard to what is right and wrong…what is important and what is trivial. When you adopt the standards and the values of someone else or a community or a pressure group, you surrender your own integrity. You become, to the extent of your surrender, less of a human being. In 1953, in my early twenties, I came upon Matty, ashen-faced and hunched over in pain, as she made her way along the Wayne University dormitory. “What’s going on? Are you okay?” I asked. I was shocked. A sheltered Yankee, I knew that abortion was against the law and had no close-up experience. Matty’s horrendous story of a “back alley abortion” and the lack of good care she endured never left me. Her struggle thereafter still lingers: the thought of returning to coat hanger abortions unthinkable. Her story has fueled my need to support and thank these two brave GOP women and to speak out for viable and safe options for women’s health care options. This entry was posted in Currents, Happiness, Mindfulness, Politics, Relationship(s), Uncategorized, Well-Being, Writing and tagged #Disrupt sexism, lead with values, Planned Parenthood, strength in sisterhood on July 31, 2017 by fayewriter.